Tate and Cami Russack, and the exceptional people in the Annapolis and Easton offices help Marylanders regain thier financial footing. Our RLC Bankruptcy and Restructuring, practice is experienced, respected and specifically focused on debt relief, bank negotiations and when necessary, to help you gain all the Protection in Bankruptcy. Our Corporate practice can help your business succeed. Whether it’s a new company, a large scale purchase, contract negotiation or insolvency, we have the expertise to help you. We understand that no two people are the same, and so, we treat every client and every case as the unique situation that it is. We take the time to listen and hear the details of your situation and understand how much you depend on good communication from us, and that’s why RLC is committed to call returns. We know that a good attorney acts as a true advocate for their clients and we know what it takes to assume the crucial role of assisting you in keeping your financial footing. Our bankruptcy attorney's will assist you with the entire process of a gaining Fresh Start Financially from beginning to end. With Russack Law, you’ll receive our experianced assistance a Consultation to Review your situation. You will meet with an attorny to receive a private, non-judgemental consultation. After 18 years and hundreds of clients, we have helped our clients solve all types of personal and Business financial situations. s We can help you solve yours. If Bankuptcy is your best option, we will prepare the Bankruptcy application and in assist you in obtaining necessary documents needed to file. We will advise you on how take a pre-bankruptcy and post-bankruptcy classes, collect the documents we will need. We will help to prepare you for the process and for life after bankruptcy. Once your Bankruptcy petition/application has been submitted, you and we will attend meeting with your Trustee and any creditors. After a Bankruptcy Dischare of Debts, you’re given a clean slate on life. You can start rebuilding your credit within the first 6 months or you can wait longer if you’re simply not ready yet. In time, you should see a significant difference in the state of your credit. Many individuals who file for bankruptcy tend to see a difference in credit repair within just 12-36 months. Each individual case will vary. The more pro-active you are in credit repair, the quicker you should begin to see results if this is important to you. Where an Individual or Business work-out or restructuring is needed, we have been successfull in putting business and thier owners back on a sound footing, all over Maryland. After helping hundreds of people struggling with financial debt and bankruptcy on the Eastern Shore, in Annapolis, and all over the Metro Baltimore area, we are confident in our ability to help you! 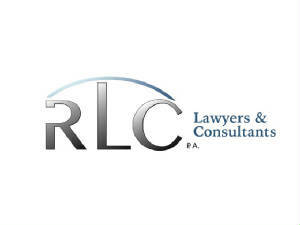 Feel free to contact RLC today to schedule a consultation at our Easton or Annapolis office. Call Our Office to Get Started at 410 505 4150. For free advice, send your questions, comments or ideas to Tate@Russacklaw.com. "We are a qualified debt relief agency. This is Attorney Advertising. The information on this website is for general information purposes only. Nothing on this site should be taken as legal advice for any individual case or situation. This information is not intended to create, and receipt or viewing does not constitute, an attorney-client relationship. We are a qualified debt relief agency. This is Attorney Advertising. "